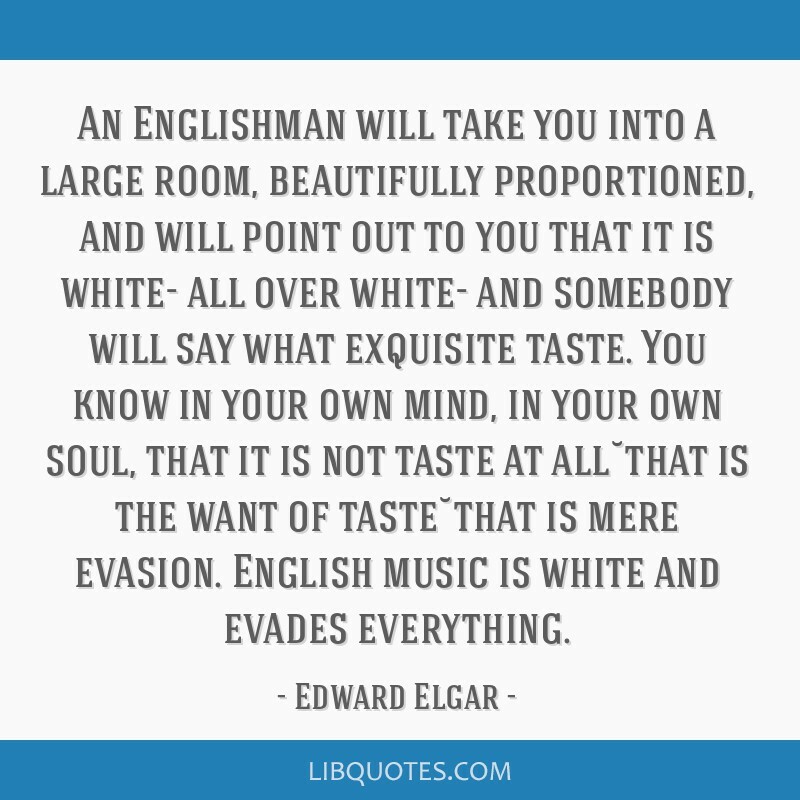 An Englishman will take you into a large room, beautifully proportioned, and will point out to you that it is white- all over white- and somebody will say what exquisite taste. 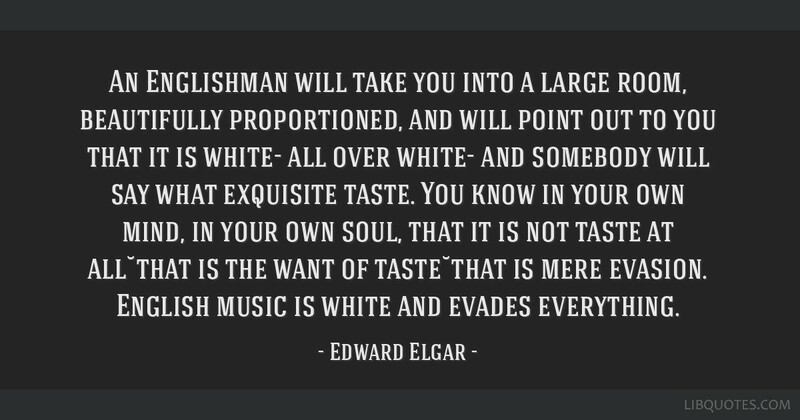 You know in your own mind, in your own soul, that it is not taste at all˘that is the want of taste˘that is mere evasion. 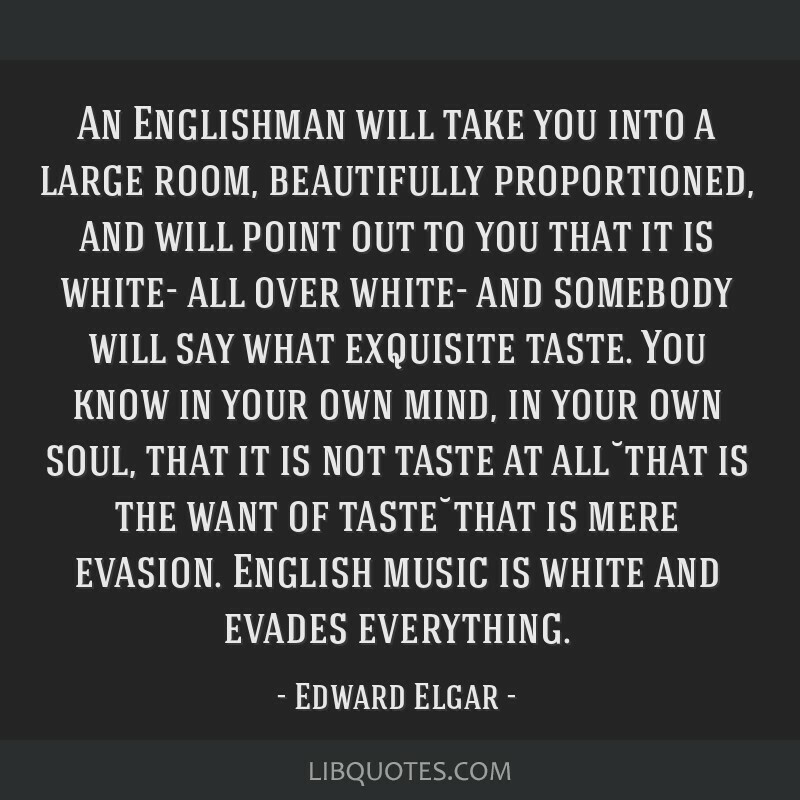 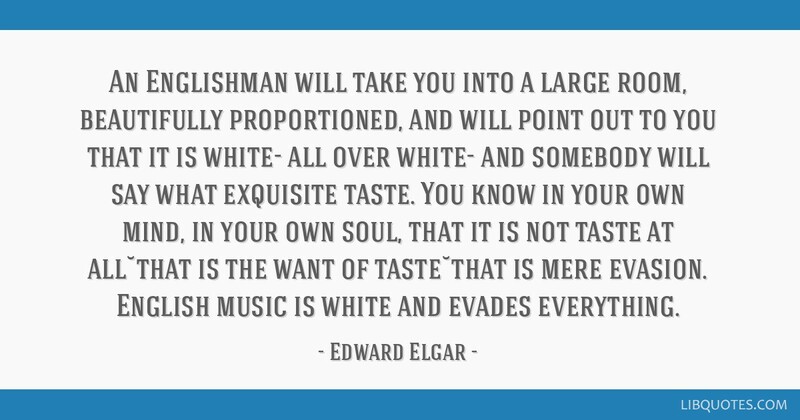 English music is white and evades everything.